Easy no-fuss recipes to make delicious sous vide dishes at homeSous vide is the hottest new kitchen technique, with immersion circulators selling for as little as $65 at Home Depot. 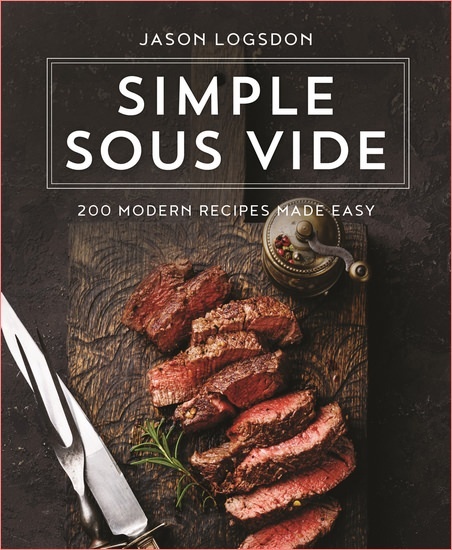 Once the exclusive domain of high-end chefs, sous vide is now accessible to any home cook with a desire for perfectly cooked, scientifically calibrated cuisine.Most of the sous vide books on the cookbook shelf are very high-end, with complicated recipes using obscure ingredients. Simple Sous Vide offers 200 recipes for meals home cooks will actually want to make, like BBQ-Style Pulled Pork, Garlic-Herb Strip Steak, and Glazed Rainbow Carrots, using common ingredients found in any supermarket.